b. Curtis Jackson, 6 July 1975, Queens, New York City, New York, USA. This New York-based gangsta rapper enjoyed fluctuating fortunes in his musical career and personal life prior to landing a lucrative recording contract with Eminem's Shady Records label in 2002. Jackson grew up in the Queens district but managed to avoid the worst elements of the street, establishing a reputation as both a promising boxer and mix tape artist. He teamed up with the Trackmasters production team in 1999 to record the novelty underground hit "How To Rob", which led to a recording contract with Columbia Records. The rapper completed an album with the Trackmasters and released a single with Destiny's Child, "Thug Love", before a series of events conspired to derail his major label deal. 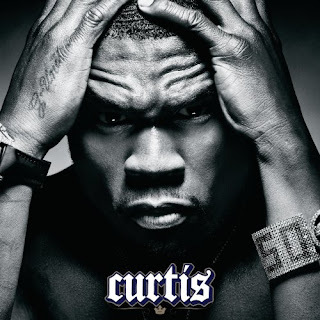 Columbia began to get cold feet owing to Power Of The Dollar being extensively bootlegged prior to its official release, and then, on 24 May 2000, 50 Cent received multiple gunshot wounds in a street shooting. As a result the rapper was released from his contract and Power Of The Dollar was shelved. 50 Cent retreated to the security of his G-Unit clique, and, teaming up with producer Money XL, bombarded the underground market with a series of mix tapes that enjoyed huge success on the street. Before too long, the major labels were showing renewed interest in the rapper, who elected to sign to Eminem and Dr. Dre's Shady/Aftermath. The provocatively titled "Wanksta' (allegedly a gangsta who gets caught in an endless cycle of committing crime and serving jail time), climbed up the charts at the end of 2002, as did his independent release Guess Who's Back?. Unfortunately, 50 Cent's penchant for attracting trouble reared its ugly head in December, when he was arrested for gun possession. This did not stop both his Shady debut "Get Rich Or Die Tryin" and the attendant singles, "In Da Club" and "21 Questions", from climbing to the top of the US charts and establishing 50 Cent as a powerful new voice in American music. The rapper enjoyed further success when his G-Unit protégé The Game soared to the top of the US album charts at the start of 2005. Despite a well publicised dispute between the rappers, 50 Cent guested on The Game's Top 5 single "How We Do", and followed up with two new solo singles, the raunchy chart-topper "Candy Shop" (featuring Olivia) and the Top 5 hit "Disco Inferno".